Parking available across the street. 4, 5 or 6 stops at 59 St. Please email us at events@212steakhouse.com for more information or visit our website contact page to require more catering information. 212 Steakhouse is the only restaurant serving authentic Japanese Kobe Beef in the East Coast. Head to this chic Midtown East eatery for an unrivaled dining experience featuring authentic Japanese Kobe beef or seafood, complete with fresh salads and delicious sides, fabulous desserts complimented with an extensive wine list from all around the world for affordable prices. Excellent authentic Kobe. Highly recommended. The service outstanding. It is a great steakhouse. We came because of the Kobe, so we ordered the sampler and it was delicious. 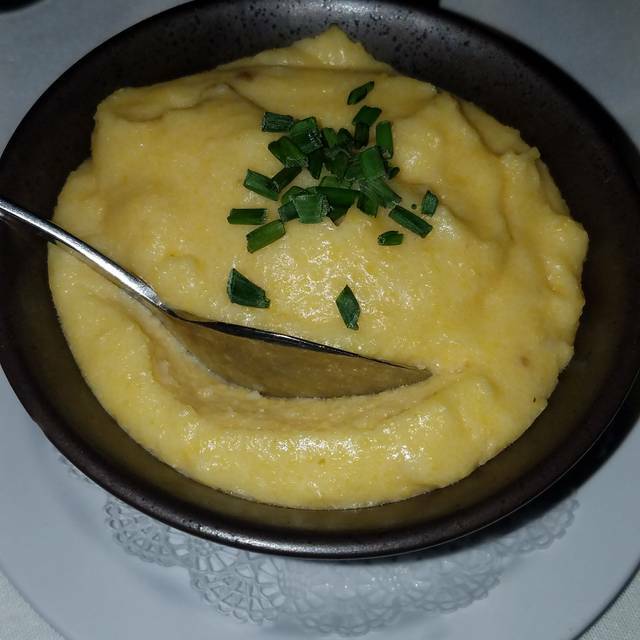 The truffle mashed potatoes were AMAZING!!! And the wait staff was wonderful and extremely helpful when it came to helping us with ordering. Great experience!!! Pretty place with delicious food and outstanding service. Waiter was friendly, patient and explained everything to us. 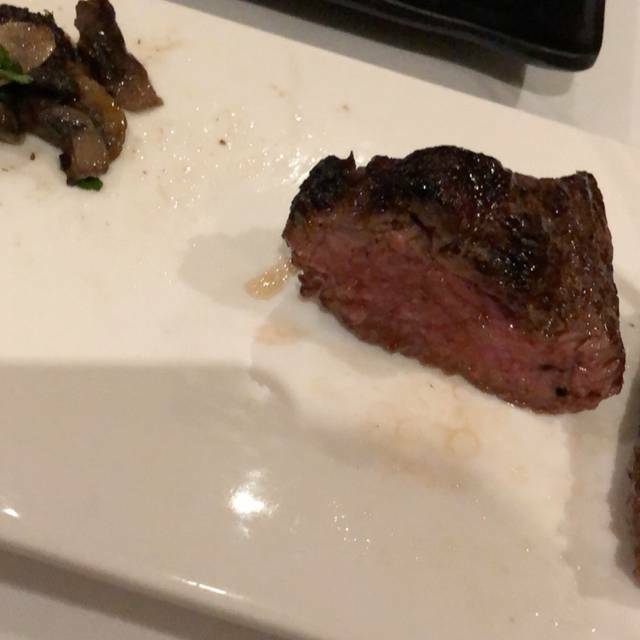 We were interested in trying the Kobe steak, so he explained those options as well. Overall, great experience and we would go back. The total experience was okay with good service and atmosphere. The truffle mashed potatoes and the mussels were tasteful. The 212 premium selection for two was mediocre because of our Australian wagyu didn’t have any flavor . It seemed not a fresh beef and frankly , a bit unappetizing. The Kobe beef was good tasting, but perhaps a bit greasy for my taste. Great Experience. 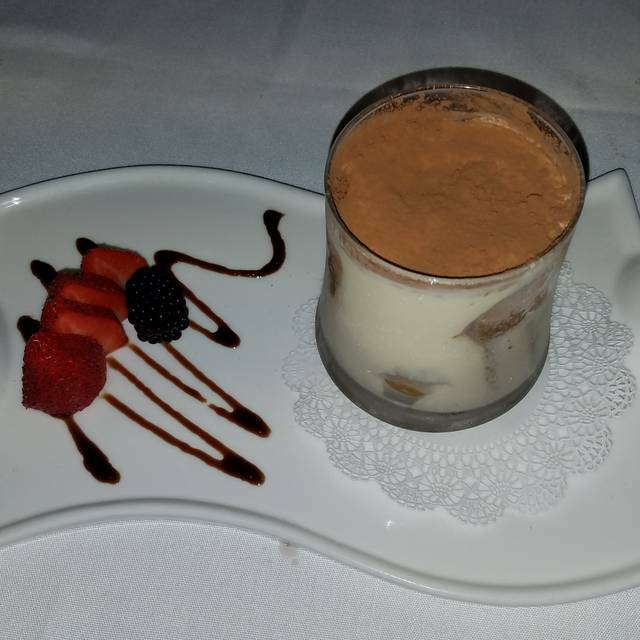 The food was great and the attention we received was very professional and detailed. Great place to eat. Service was great. Food was great. Will be returning when I get a chance to be in New York again. Absolutely delicious, fantastic experience. 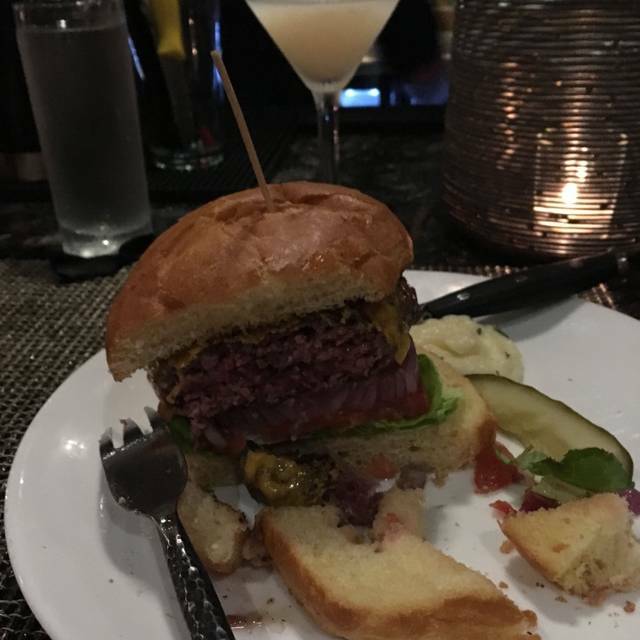 My husband ate the Kobe beef and described it as mouth watering, buttery, and decadent. I had the Lobster dynamite and it was out of this world. The sirracha is not overpowering. The meat was buttery, slightly sweet, and juicy! The food was outstanding and the service excellent, as always. Was quite enjoyable and would go again. Alexandre our server was outstanding - I would love to go back only for his excellent service. It was the first time I tried Kobe beef and he showed us the different pieces, the history of the Kobe beef and captured us completely! Love it! This is such a cute and intimate restaurant that my husband and I chose to go to for our anniversary. The lights are dim, music is low, the other customers aren't very loud, the food was really great and the service was excellent! I absolutely loved it. This place was great for my friends that loved steak, they’ve been wanting to try it for a long time. It was excellent, service was great. We loved everything we tried from lobster bisque, beet salad (special), lobster Mac & cheese was to die for!! And then the entrees were good. Definitely pricey but it was expected so it was no surprise and it was worth it! Our waiter Alexander was impeccable, he was very interactive and so kind, offered us complimentary drinks at the end and unfortunately I don’t drink but it was very thoughtful. 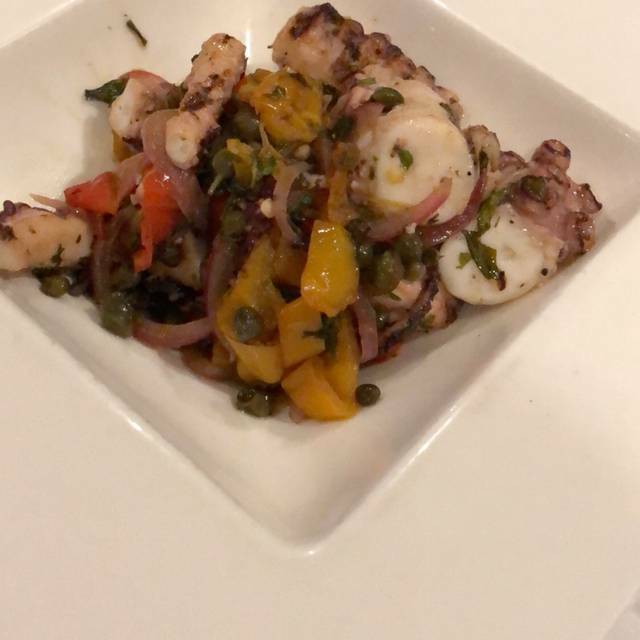 The quaint location, IPAD wine list and drink listings, pleasing interior, fantastic service and quality food all contributed to a very enjoyable experience! 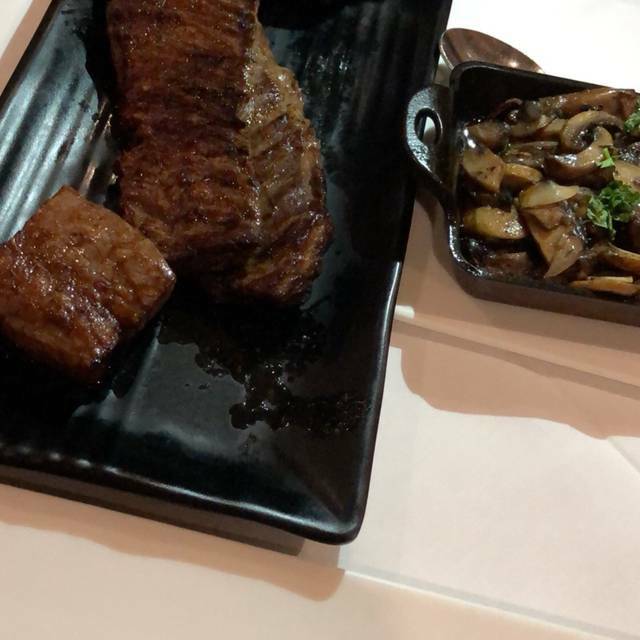 The only thing that would have been better is if the KOBE steak portions were a little bigger for the price, but our steaks were cooked perfectly. Kudos to our waiter who was very engaging and knowledgeable...! We will return and tell others to try this out. The service, food & ambiance was top shelf. Our host/waiter Alexander was great. We will definitely return. Wagyu sampler was absolutely amazing. 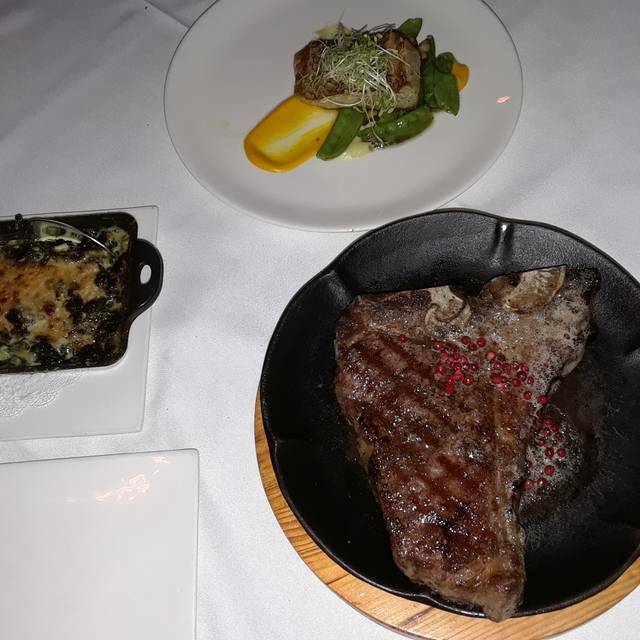 We had a dry aged wagyu porterhouse which was very good but I couldn’t taste any difference from a regular prime porterhouse which was a bit disappointing as we were seeking that distinct flavor known with dry aged steak. It was our 20 year anniversary and we got the my strip and filet and they very amazing , cook to perfection! We got the groupon discount which cover $60 off the check so the meal was not that expensive- well worth it ! The 212 premium selection for two was delicious. Best wagyu and filet mignon I have ever had. The oysters from the seafood platter were fresh and did not smell whatsoever. With an American Express card, we got a free bottle of wine. The place is quiet, lighting is a lil dark for pictures but overall a good ambience. Would go back again. Was entertaining my friends in NYC and they picked 212 due to the menu. They were interested in the steak, which turned out to be $28 per oz. We ordered Blue Moon and Bacardi for drinks and the restaurant was out of both, which was quite a surprise. Instead of a recommended replacement, we were handed the IPAD to review options. The whole drink order process was cold and disappointing. Overall service was spotty and they did not feel respected. The atmosphere was decent. We had the Zucchini Chips, very good, cook on their ribeye steak was spot on and side dish as well as my dish were great. Just can't recommend as a whole package, especially in this price range. Food was delicious and the Kobe was as soft as butter. Nadia, outer waitress went above and beyond to make sure we were having a great night. Really appreciated the extra care taken and overly enjoyed our experience. Great romantic ambiance, great service. Our server/host Lytchezar was entertaining and amazing. Would definitely go back, and refer to friends. Pricey but food was good. Not a lot of choices of wine by the glass, probably five or buy a bottle for $$$$. Decor is dark. The atmosphere was beautiful the food to die for and the service was excellent. I will be visiting your establishment many more times and recommending it to friends and associates. 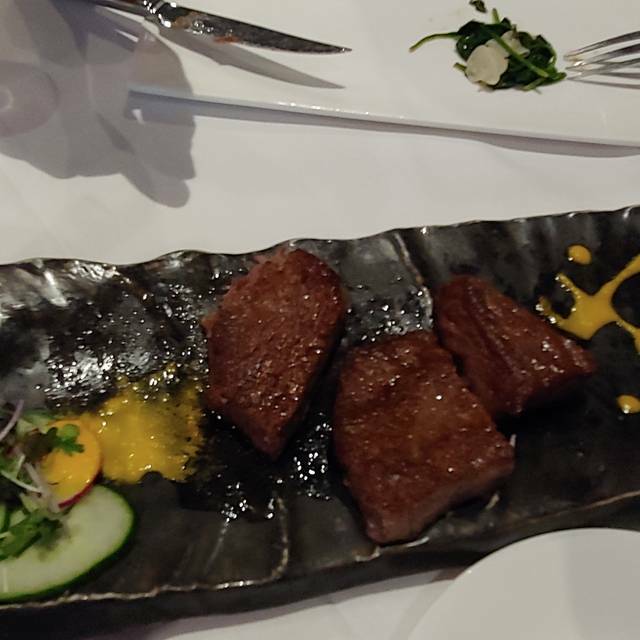 The opportunity to try authentic Kobe beef was a once not disappointing. The total experience was amazing with great service and great atmosphere. If you ever get the chance try a Kobe option. Its pricey but it's something I'll never forget. 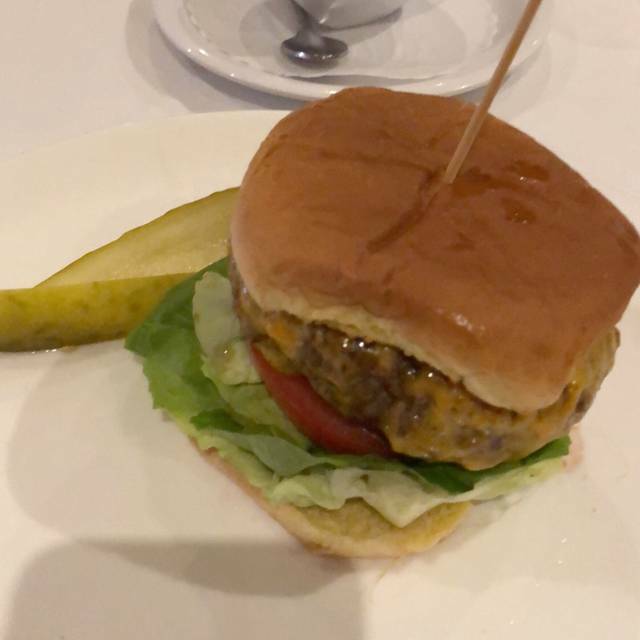 Love 212 steakhouse , everything about it was amazing and timely . Love the waiter I had and the location of the restaurant , the drinks and nice soft music so you won’t be yelling over the music to speak. Great food, great service. The waiter was very knowledgeable and seemed to enjoy his job immensely. Alex our server was charming. We would've ordered steak,. however we ate steak the night before. $46 for Chilean Sea Bass not worth it. I ordered Scottish Salmon both dishes arrived cold at the table. Took so long to return dishes we thought they were.making new ones .. not the case. Disappointed with the main course. However.. bread was warm and fresh. Drinks were delicious. Creme brulee yummy! I would try and visit again.